Location: Hodson Bay, Athlone, Co Roscommon. The Hodson Bay Hotel has an interesting historical background which adds to its special and unique existence. Originating as a monastery, it was during the Cromwellian invasion of the 15th Century that General Hodson laid claim to the land where the hotel now stands. During the 1950s the site passed into the hands of an Irish family known as the Lenihans who opened the first hotel. It wasn’t until 1992 that ownership passed to the O’Sullivan family who developed the property into the conference, leisure and wedding resort that exists today. In 2017 the hotel celebrated its 25th Anniversary and marked the occasion by opening a new Tribute wing called the Eiscir Riada. 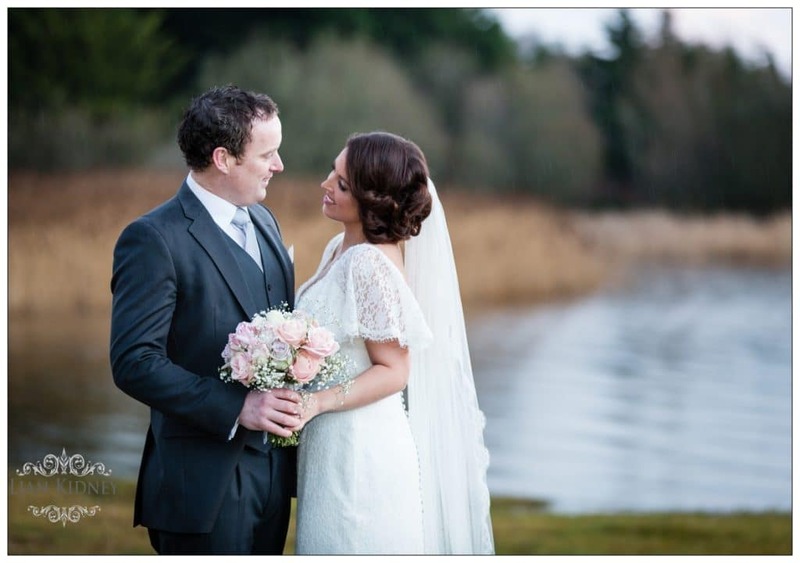 One of the most charming and unique aspects at the Hodson Bay Hotel is its beautiful waterside location. Nestled in the centre of Ireland on the shores of beautiful Lough Ree, the natural surroundings of the Hodson Bay Hotel boasts some of the finest views over the King of Lakes. 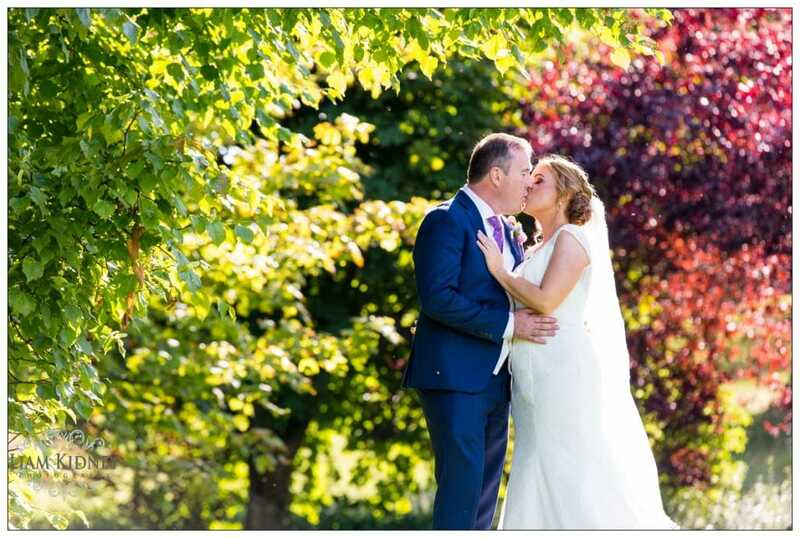 Many couples who enquire about celebrating their wedding day with us do so due to our picture perfect setting that allows for beautiful photographs with uninterrupted views of the lake. We always advise our couples that the wedding meal is one of the most memorable parts of their day that their guests will remember. For this reason it is crucial that their chosen venue has an excellent reputation for food. Here at Hodson Bay Hotel we are extremely proud of our cuisine and our Executive Chef Gavin O’Rourke has created an excellent wedding menu for our guests. Gavin has an extensive knowledge of food and his cooking ethos is based around traceable, healthy and quality assured ingredients. By sourcing local produce for the hotel we are supporting the very best that Ireland’s land and seas have to offer. Nothing makes a venue more special however than a dedicated and hardworking team. 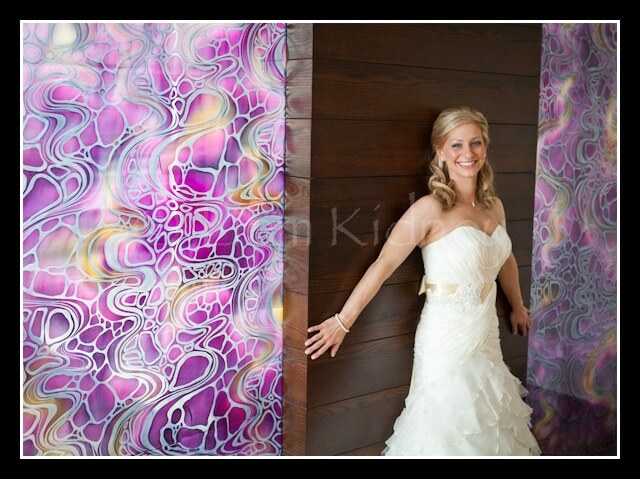 From the start, our experienced and attentive wedding team strives to make each Bride & Groom’s day unforgettable. From the moment a couple enquires with us, we are there to guide, help and advise them on how to plan their perfect day. 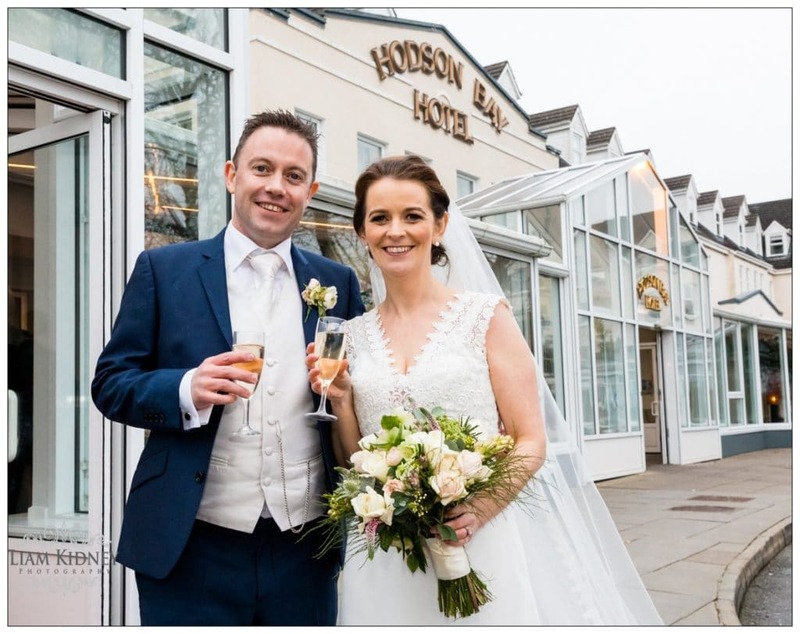 To ensure individual and personal attention, the Hodson Bay Hotel guarantees only one wedding per day and we have a dedicated wedding management team to look after each wedding and ensure that our couples and their guests are the sole focus of attention. Both our Deputy Manager James Mannion and Banqueting Manager Michael Dolan have been with the hotel for 20 years and their expertise, knowledge and dedication to our weddings are invaluable. 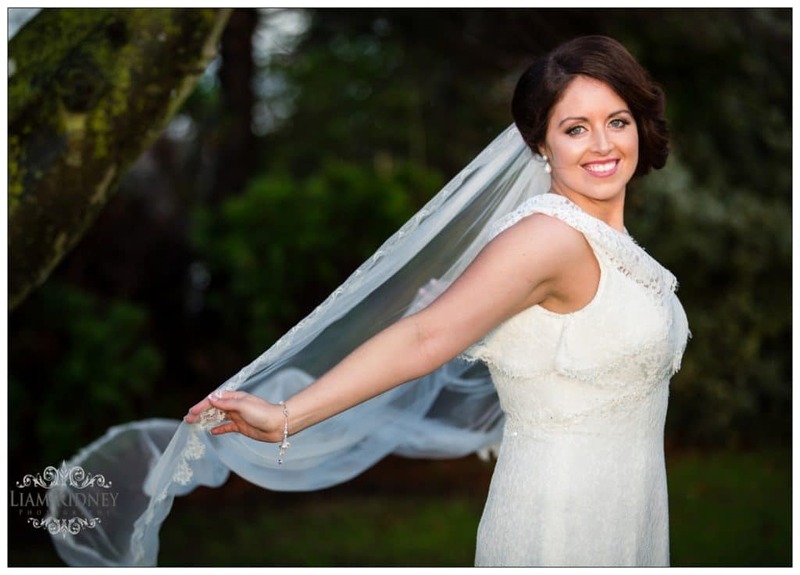 What advice would you have for a wedding couple regarding the service you provide? 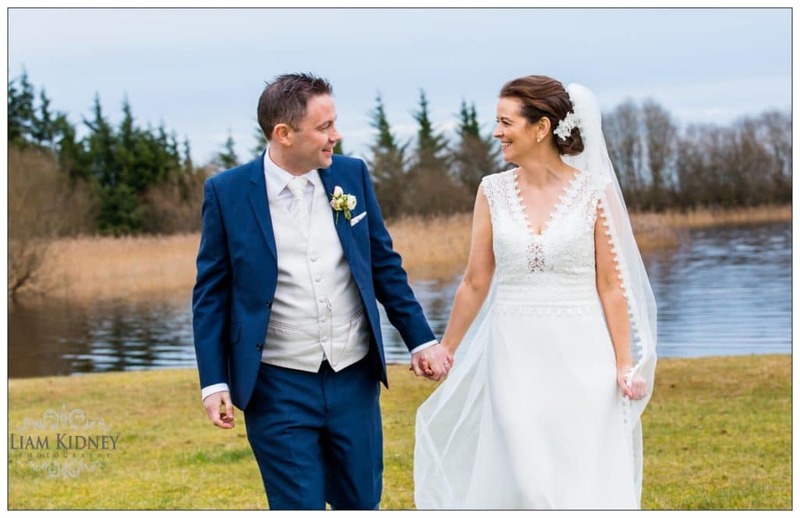 Many of the couples who enquire to celebrate their wedding day at the Hodson Bay hotel do so initially due to our stunning location on the shores of Lough Ree. Furthermore our hotel boasts a wide variety of guest facilities such as an award winning Spa and Leisure Complex, Enigma Hair Salon, taxi service, a babysitting service and an award winning kids camp to keep all their little guests entertained. The hotel is also located beside the 18 hole Athlone Golf Course, Bay Sports Water Activity Centre and acts as a collection point for the Athlone Viking Tour. 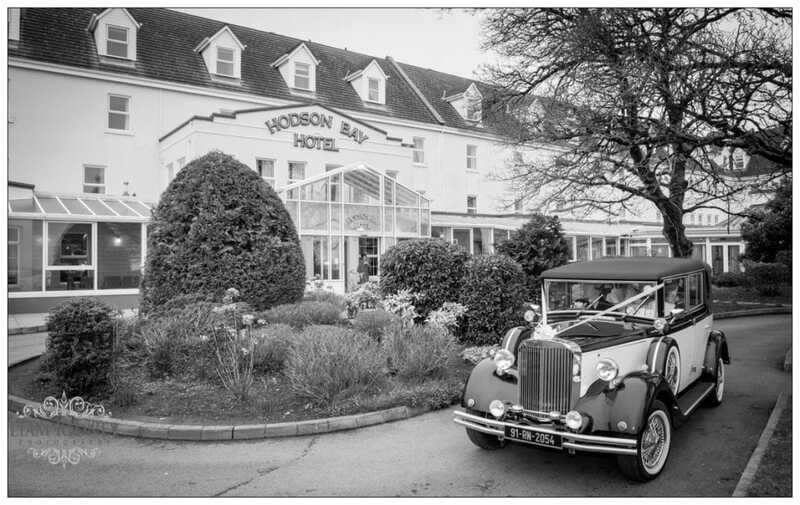 Professional service and a positive customer experience is also something that the Hodson Bay hotel prides itself on. We practice a culture based on Respect; respect for ourselves, our customers and our community. Combined with our core value system of fun, excellence, passion, honesty and flexibility the service that we provide our couples on their wedding day is second to none. This reputation has been reinforced time and time again through the positive reviews and testimonials we have received from our wedding guests which ranges from the service provided by our wedding team, the cuisine tasted at the menu tasting and served on their wedding day and the guest facilities availed of during their stay. An example of a Real Wedding that has taken place in the hotel – the process from the moment we were contacted until the day of the wedding. I met with Zara and Michael on Saturday 5th August 2016 following their initial enquiry via email the month previous. 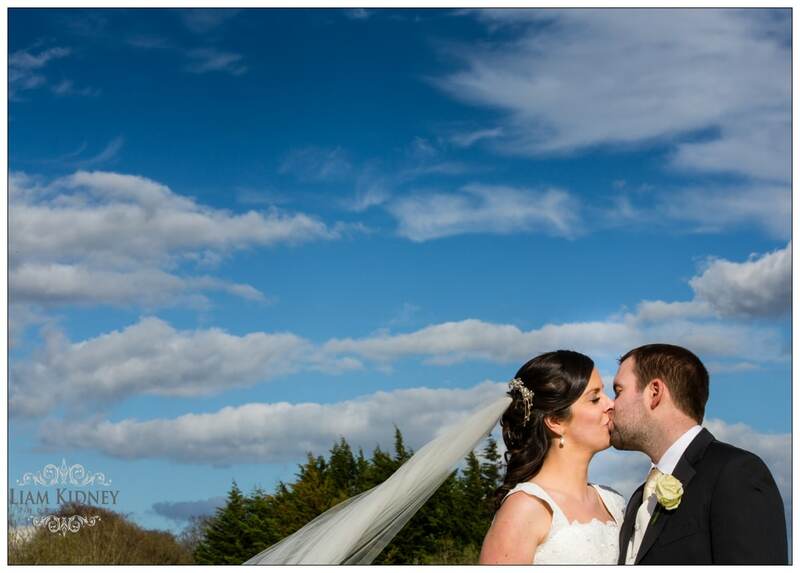 With Zara hailing from Northern Ireland and Michael from Cork, they were keen on finding not only the perfect wedding venue but a location in middle of Ireland that would act as a convenient halfway point for their guests to travel to. 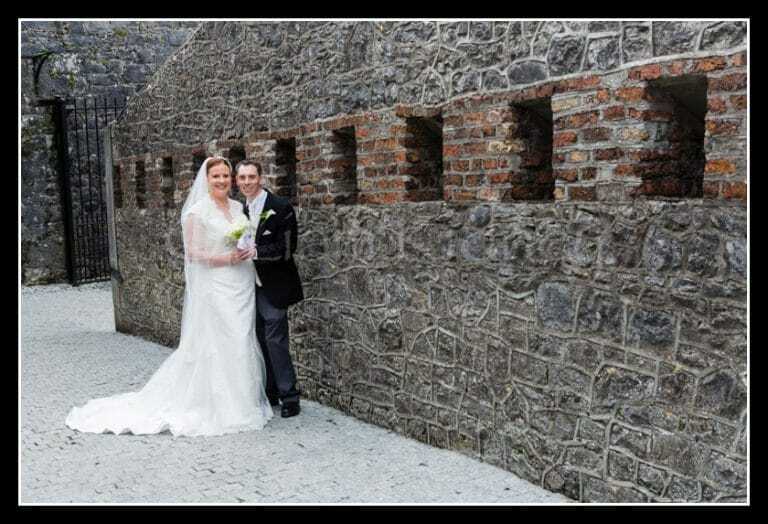 Zara and Michael knew that they would be having a church wedding in Athlone and as neither of them are local to the area they needed recommendations as to what Church would be suitable. With St Mary’s Church and St. Peter and Paul’s Cathedral available to them, they had two great options to suit not only their needs but their 230 guests. Upon their arrival to the hotel, Zara and Michael were greeted by our reception team and brought to a quiet seating area of the hotel lobby where they enjoyed some refreshments while they waited for me to join them. In the meantime I was preparing our newly opened Eiscir Riada lounge with our wedding brochure, photo albums and most importantly the wedding plate of freshly made cakes and desserts for our wedding couple to enjoy with a glass of bubbly. Once the area was prepared I greeted Zara and Michael in the lobby where they looked to be relaxed and enjoying their visit to the hotel thus far. At the beginning of the showaround I explained the process of bringing them through the various spaces that we use for weddings and how there would be plenty of opportunities for them to ask any questions along the way. I find that this approach gives the couple an idea of how our meeting unfolds and allows them to relax and enjoy the experience. It also happened that there was a wedding on in the hotel that same day which created the perfect opportunity for Zara and Michael to see the hotel fully dressed as it would be on their big day. We began the showaround in the lobby area and I explained how the wedding couple and their guests arrive through a separate entrance nearer to their drinks reception. Greeted with a champagne reception on arrival by our Banqueting Manager Michael Dolan, a fully private and intimate space is created for our wedding guests. We then made our way to the Solstice Lounge conservatory which hosts the drinks reception. 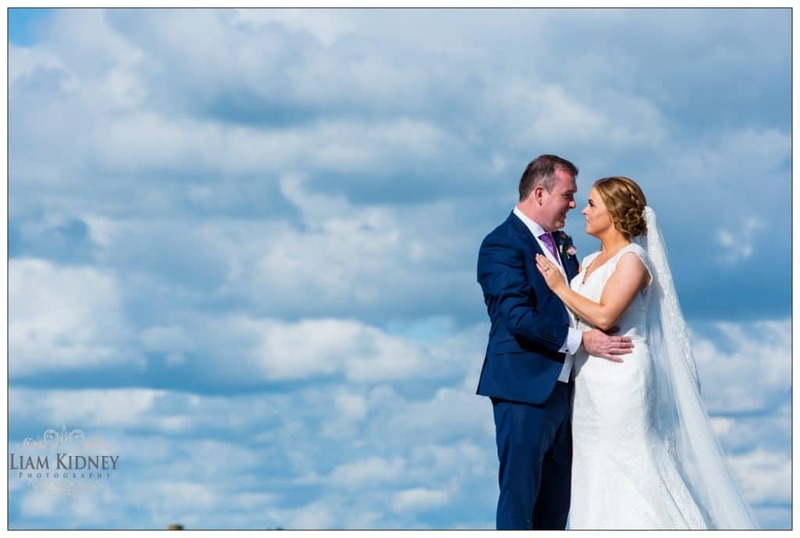 With plenty of natural day light and stunning views of Lough Ree this area is the perfect setting for their guests to kick off the celebrations with a spread of drinks and canapés. We then moved into the Eiscir Riada which acts as a ‘safe passage’ leading their guests from the drinks reception into the Clonmacnoise ballroom for the wedding meal. I could tell they were impressed with our new space and Zara’s exclamation of “oh my god” quickly reassured me of this. While here I made reference the private bar and bathrooms for guests and to the secret garden located behind the ballroom. This space is an ideal location for photographs, and is exclusive to all wedding couples with complete privacy guaranteed. Moving into Clonmacnoise ballroom where the wedding meal would take place I explained the layout of the room with its private bar, the close vicinity to the kitchen and how it would comfortably fit their numbers of 230 guests. I also explained how the hotel will provide the chair covers, sashes, centerpieces, caketable and fairylight backdrop which means they don’t have worry about organizing these features but are more than welcome to incorporate their own additional décor. We then took a walk through the rest of the hotel so as to give them an overall feel of the venue and our facilities, all the while stopping to take some pictures and answer any questions Zara and Michael had. We finished up our tour of the hotel in our Penthouse Suite which located at the top of our Retreat Block with beautiful panoramic views of Lough Ree and the golf course. Amazing! While it was difficult to leave the beautiful views from the Penthouse the promise of bubbly and desserts in our Eiscir Riada lounge was enough to entice us. It was here that I asked Zara and Michael what their priorities for their wedding day would be and from this I could gauge the package that would most suit them. Food was key as once the guests were fed and watered they would be happy. Due to the distance of both their homes, they wanted to take as much fuss and stress out of the planning as possible. 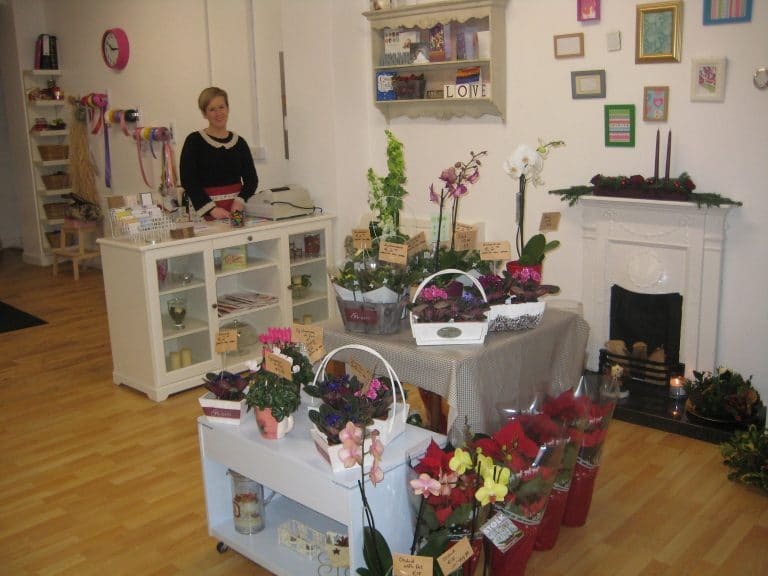 We decided that the Ultimate package would be best suited to their needs, as the 3 optional add on element of the package meant they would not potentially have to source a photographer, florist, arrivals music or wedding cake. We then discussed available dates for their chosen time of July 2017 and once we found a date that suited they made a provisional booking. This allowed them some time to mull over all the information they had gathered during our meeting before confirming their booking, which to our delighted they did the following week when I received a call from Zara to arrange payment of their deposit. Over the next 12 months I really got to know Zara and Michael through our many correspondences of email, phone calls and the occasional visit to the hotel – specifically when they arrived to sample their menu just weeks before the big day. With the bulk of the planning behind them it was just pure excitement by this stage. The morning of the wedding created a great buzz of energy throughout the hotel. The florist arrived to display the floral arrangements, the red carpet was rolled out in preparation for Zara and Michael’s arrival and our wedding team added the final touches to the ballroom. All we needed now was our wedding couple and their guests. By that evening the Clonmacnoise ballroom was full of delighted guests enjoying a delicious meal, happy to be present at Zara and Michael‘s celebrations. With twenty-five years experience under our belt we are always ready for anything that may go wrong but thankfully on this occasion everything ran according to plan.